The Journal of Steffanie Rivers: What Have Pharmaceutical Companies Done For You Lately? *Would you take a job that underpays just to have health care benefits? Millions of Americans are doing so, because it helps them to afford the rising costs of medical coverage. Although some employers claim to offset lower wages with a healthcare package, the numbers show that more companies are shifting the burden of insurance premiums to their employees. So those lower wages have to stretch even further to cover premiums, deductibles and co-pays. While employers are in a tug of war over whose financial burden insurance premiums should be the instigator of the debacle – the pharmaceutical industry – is taking it all in, literally. Whatever they have done is more for their benefit than for the American public. Dehydroepiandrosterone, known as DHEA in the medical community, is a substance that promotes optimal hormone levels. Doctors say when hormone levels are balanced people feel younger and live longer. What could be better than that? A thirty day supply of DHEA costs about $10 over the counter. In 2010 the FDA claimed the product was too dangerous to be unregulated and that congress should require a prescription for anyone to have access to DHEA. The collected efforts of a few million people kept congress from removing it from the open market. If the FDA and drug companies had their way who knows how much I would have to pay for DHEA. Other examples are the naturally produced testosterone and progesterone. As they grow older, men and women take testosterone and progesterone supplements for various reasons. They could pay a local pharmacist to formulate (or compound) a batch of the product to fit their specific dosing needs and at a price most people can afford. But the FDA has made it illegal for most local pharmacists to do it. The agency claims potential health dangers associated with the natural supplements are better managed by for-profit drug companies. So instead drug companies get to package the product and charge consumers thousands of dollars more than they would have paid had it been left in the public domain. That’s where research and common sense come in. I don’t have a medical degree and so I don’t give medical advice. But I do have common sense. When it comes to my health I read labels and I ask questions. If I don’t understand it I don’t put it in my body or on my body. Although some pharmaceutical drugs are instrumental in sustaining the quality of life for many people, most have little to no redeemable value – except for the companies that sell them. And when it comes to side effects most do more harm than good. Before you spend your last hundred dollars on a prescription drug do your research. Over the counter natural supplements with the same active ingredients could work better for you and mostly likely cost much less. 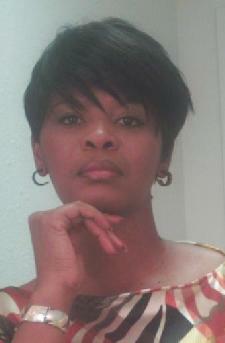 Steffanie Rivers is a freelance journalist. Send your comments, questions and appearance inquiries to Steffanie at teamtcb.tcb@gmail.com.